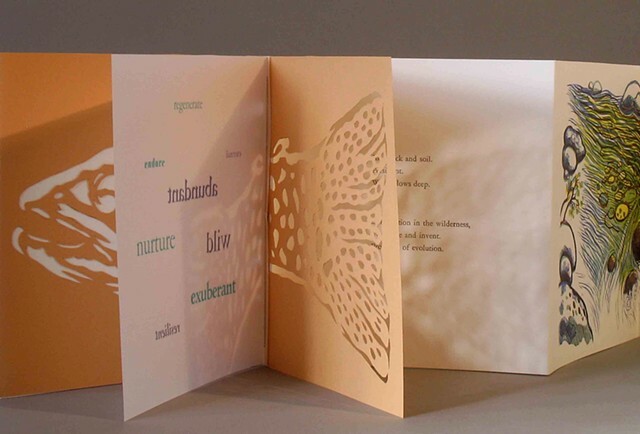 A meditation on man's need to control nature, this collaborative book by Tony Bellaver and Mary V. Marsh is a letterpress printed accordion-fold book. Includes handset type, polymer plates, linocut on Arches Cover, hand cut paper, maple burl veneer cover, vertebrae. Slipcover, redwood veneer, inkjet title.